Azerbaijan’s most well known contribution to the footballing world is off the pitch with the nation’s controversial sponsorship of clubs such as Atletico Madrid, Sheffield Wednesday, and RC Lens. The question now is, can the country start to impact the world on the pitch? Authorities in the former Soviet Republic are starting to take the game a lot more seriously and, with large oil exports financing them, they are starting to invest their money into football at home. 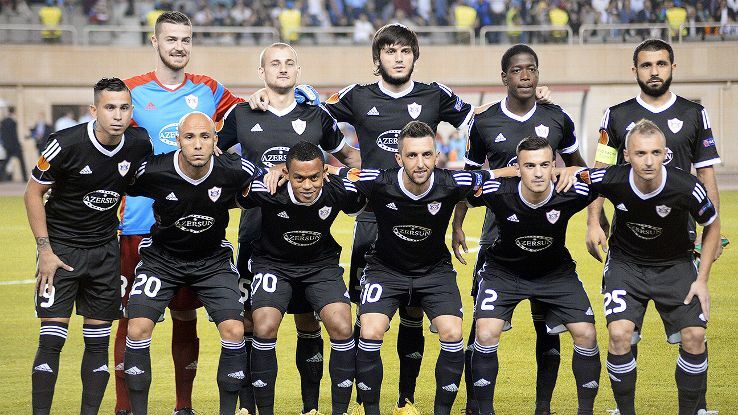 This season we have seen two Azeri teams compete in the Europa League, Qäbälä and Qarabağ, and it is no coincidence that their significant achievement of merely reaching the group stages in Europe is in sync with Azerbaijan’s recent heightened interest in funding football at home. According to UEFA’s club coefficient rankings, Azerbaijani league football is the 26th best in Europe, which puts it ahead of countries such as Serbia and Bulgaria. While 26th position does not appear impressive at first glance, it is worth noting that this ranking has risen by twelve places in the last four years. In 2008, there was a change of emphasis in Azerbaijani football when the record goalscorer for the national team, Gurban Gurbanov, became manager of the aforementioned Qarabağ. The former Baltika Kaliningrad forward brought the now legendary tiki-taka style of play to Qarabağ alongside the Dutch method of totaalvoetbal, where players are free to change positions on the field. It was not until the 2013-14 season, however, that Qarabağ started reaping the rewards of Gurbanov’s work and won their first title since 1993. This development of local players will only help Azerbaijan in the long run. The footballing powers in Azerbaijan have also tried to boost the profile of Azerbaijan Premier League (APL) with foreign players. There is no restriction on the number of foreign players a team can have in their squad and there is also no salary cap on their pay packets. Many would deride this lack of control on foreign players in the league and would point to England to demonstrate how, they believe, foreign players have killed off English home-grown talent. For a league that strives to be respected, however, foreign stars are vital to its development as it seeks greater recognition and endeavours to inspire the next generation of Azeri footballers. That the AFFA (Association of Football Federations of Azerbaijan) are clearly looking to the future as is indicated by the rule that each team must have at least two players under the age of 21 in their match day squad. Although they do not necessarily have to be of Azerbaijani nationality, it is an encouraging step toward on-going youth development. Not only have foreign players gone over to Azerbaijan, but foreign coaches have also tried their luck in the largest country of the Caucasus. Tony Adams is perhaps the most illustrious example; it was certainly a surprise when the former England international went over to manage Qäbälä in 2010 and, despite resigning from his managerial role at the club in November 2011, he remains at the club as Qäbälä’s sporting director. Other eminent coaches who have dipped into Azeri football are former Lokomotiv Moscow and Anzhi Makhachkala manager Yuri Semin as well as former Wales and Real Madrid manager John Toshack. The Welsh Toshack is arguably the most successful of these three prominent coaches as he led Khazar Lankaran to a surprise 2013 Azerbaijan Supercup victory. Having these renowned faces coaching in Azerbaijan is great for the APL as this raises the profile of football in the country and, in addition, increases awareness of Azerbaijani football overseas. 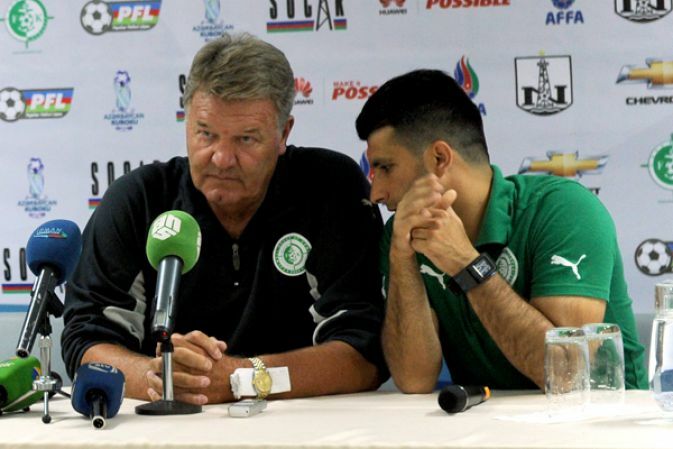 The AFFA also hopes that the success of coaches such as Toshack will inspire more foreign coaches to go to Azerbaijan and teach the local coaches techniques that, in the long run, will benefit Azeri football. The Azerbaijani authorities’ investment into their football infrastructure is certainly making a difference. Earlier this month, football agent Rustam Rajabov, who is also Sporting Director at the Kazakh club Okjetpes, stated that the investment into Azeri football is making Azerbaijan a more attractive place in which to play the game. He explained that clubs provide ideal housing conditions for foreign players and that the training bases and stadiums are top class. This investment into infrastructure will attract foreign stars to the league, and at the same time will enable young Azerbaijani players to develop their skills properly at state of the art facilities. This investment has also taken place at the grassroots level, where the government has set up the ‘Football is Life’ project. The project involves schoolteachers—who will be specifically chosen by the AFFA and subsequently trained by German experts—giving football lessons to pupils. The AFFA will also pay the salaries of the coaches and provide sports kits and equipment for pupils. The scheme is intended to promote a healthy lifestyle amongst schoolchildren while, at the same time, identifying the next generation of Azeri footballers. While this may seem a very basic method of finding young talent, the AFFA hopes that these measures will also inspire children to become the great players of the future in Azerbaijan. In the last few years, Azeri youth football has progressed by leaps and bounds. 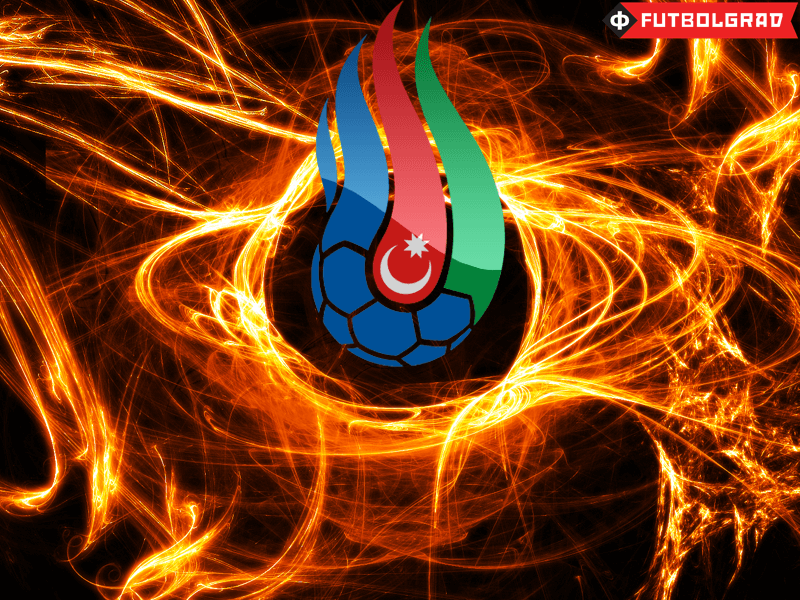 Not too long ago, Azerbaijani youth teams were regularly humiliated by most teams and did not qualify for any tournaments. At present, they are challenging some of the best sides in Europe. They currently find themselves in fourth place in Group 7 of the European U21 Championship qualification, only three points off a possible play-off spot with three games still to play. Their group includes the likes of Germany, Austria and Russia who are able to boast Leroy Sané, Max Meyer and Ramil Sheydaev, some of the best prospects in Europe. While their poor goal difference of -11 will likely prove to be a stumbling block in their campaign, to be in contention for the play-offs against these excellent teams is a great achievement in itself. Azerbaijan will host the European U17 Championship this summer, which again goes to show how good the infrastructure in the country is. It is hoped that playing in front of a home crowd will help Azerbaijan progress further in the tournament this time around. Members of the now famed Spain and FC Barcelona teams of the last six years or so honed their technical skills in futsal, a sport that emphasises the importance of vision, creativity and technique. 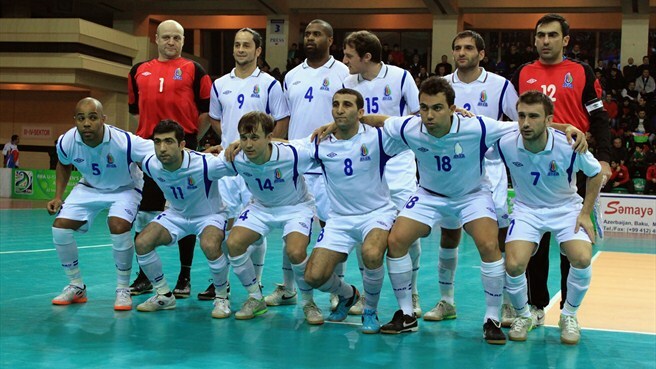 Azerbaijan is currently ranked 11th in the world and will participate in the 2016 Futsal EURO next month in Serbia. Azerbaijan will not match Spain’s footballing achievements simply because they are good at futsal. Their emphasis on this sport will, however, stand them in good stead in the future as football becomes more strongly based on technique and creativity. In 2008, there were only 1500 registered footballers in Azerbaijan. By 2011, however, this number had increased over tenfold to 17000 and that number is still rising. The growing participation and progress of football in Azerbaijan has been staggering—clearly a significant amount of the country’s large wealth is being invested into the sport. While corruption is bound to remain a problem in a country such as Azerbaijan and other serious off-field incidents will also hamper development, Azerbaijanis hope that at some point in the near future the most famous name associated with football in their country is not Tofiq Bahramov but rather a new star formed through this grand investment.